Does the ball drop after your bed time? Not this year! 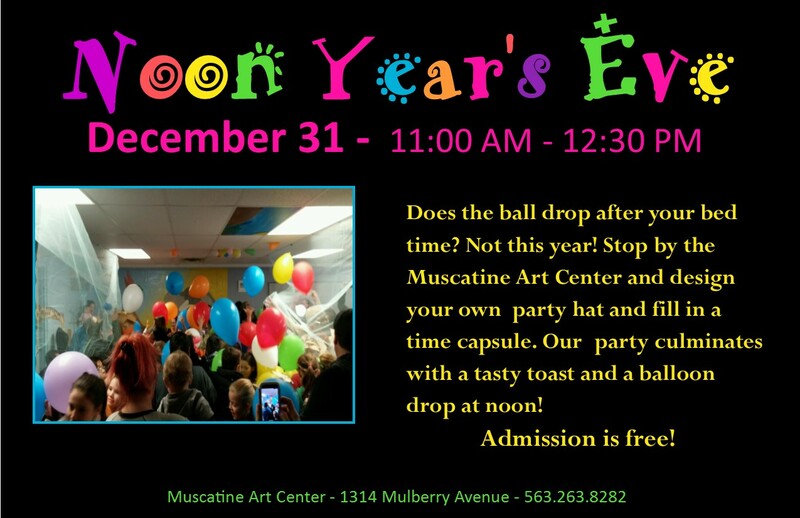 Stop by the Muscatine Art Center and design your own party hat and fill in a time capsule. Our party culminates with a tasty toast and a balloon drop at noon!